SEO is constantly changing and marketers often have trouble keeping up with the latest updates, but one thing that isn't changing is the value of your buyer persona finding you through organic search. Google updates its algorithm hundreds of times per year. It can feel overwhelming to keep up with all of these changes - and to know what to put the majority of your focus on. Luckily, we’ve pulled some of the most important stats to help you make digital marketing decisions in 2019. Google is the gatekeeper to massive amounts of traffic and leads -- search engine optimization (SEO) opens the doors. It is a major part of inbound marketing and I’m sure you have tons of SEO questions. Well, we've got the answers -- and 15 stats to back them up. 1. In 2017, Google accounted for over 79% of all global desktop search traffic, followed by Bing at 7.27%, Baidu at 6.55% and Yahoo at 5.06%. To win at SEO, you have to play by Google's rules. Ranking high on Yahoo or Bing is nice, but companies who rank on Google are most likely getting the most business. Using Google Search Console will help you understand how people are currently getting to your site through Google Searches. This can be helpful for understanding strengths and weaknesses of your content. If this stat does nothing else, at least keep updated with Google Algorithm changes to be as agile as possible. 2. Google receives over 63,000 searches per second on any given day. Your buyer persona wants to feel like they are in control of the buying process and don't want to be heavily marketed to. Ranking well in search engines enables your buyer persona to do their own research, and it works out for you because A LOT of people are online searching for what you offer. Your personas are on Google - so SEO focus is essential to any digital marketing strategy. 3. 50% of search queries are four words or longer. In terms of keyword research and keyword optimization, make note that most users aren’t searching for simple terms - they’re searching for something very specific, what we call “long-tail keywords.” Your content needs to reflect this intent. It’s the difference between “SEO” and “What is SEO” or “How to do SEO better.” See how those last searches are so different? There is a different intent and goal and the user expects different content between the two. 4. More Google searches take place on mobile devices than on computers in 10 countries including the U.S. and Japan. First thing to note: Your site may be different! Check your analytics software for stats specific to your site. The biggest takeaway: The world is going mobile and it's happening at a rapid pace. That means your website has to be mobile-friendly if you want to compete. Also, the increase in device sizes means it's important for your website to be responsive, instead of just having one fixed size for mobile. 5. According to Andrey Lipattsev, Search Quality Senior Strategist at Google, high-quality content and link building are the two most important signals used by Google to rank your website for search. Even though this stat was pulled from 2016, this still rings true today. Quality content has consistently been a factor towards gaining traffic and ranking for your site/page, so it’s probably one thing we can expect to remain the same for the foreseeable future. Focus on quality over quantity. This will help your persona perceive your site as valuable to them… eventually driving them back. This also will help competitors or others in your industry to see your site as valuable, and make them want to link back to your site. Before publishing, share your work with others in the industry or with your customers to ensure you’re spending time on valuable content. 6. The average first-page result on Google contains 1,890 words. Long content ranks better. Go into detail and provide a ton of value to your visitors. Going along with the fact that 50% of search queries are longer than four words, your users are looking for something specific. So, give them all of the details they’ll need to know on that topic. 7. A July 2015 study by Moz and BuzzSumo analyzed the shares and links of over 1 million articles and found that long-form content of over 1,000 words consistently receives more shares and links than shorter form content. Per the above stats, this still rings true as an important factor to ranking today. What we can safely assume from this: these longer pages/articles are MORE VALUABLE, which receives more attention and more links. 8. Marketers see SEO as becoming more effective, with 82% reporting effectiveness is on the rise and 42% of this group stating effectiveness is increasing significantly. With digital marketing becoming more mature, it’s no surprise that companies are continually getting better at SEO. 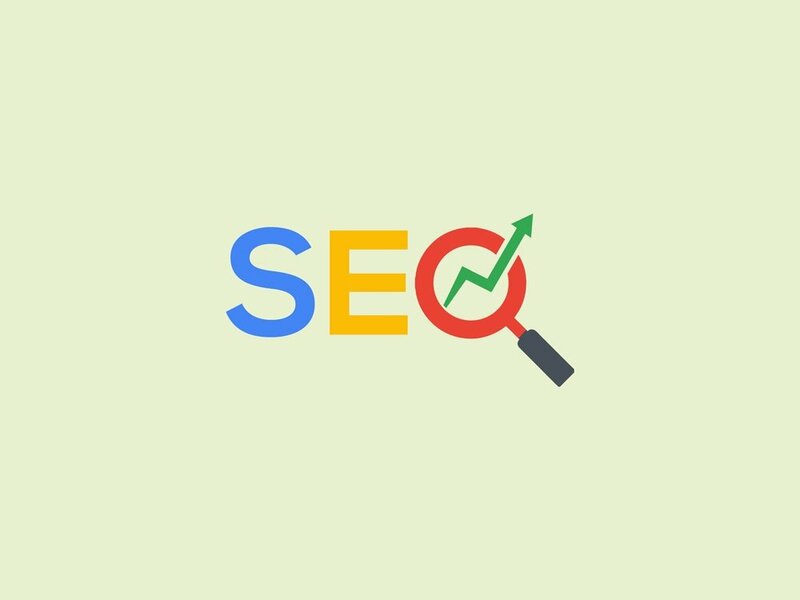 Most importantly, this means your competitors are getting better at SEO, so you need to make sure it’s a major factor in your digital strategy for 2019. Because of the success of inbound marketing and SEO, more marketers are dedicated to improving their ranking over other tactics. Your competitors most likely fit into this 61%, so now is the time to take SEO seriously - or double down. 10. Google “near me” searches have increased by two times over the past year. If you’re a business that depends on local traffic or has a limited service area, this is key. Local SEO tactics are important for smaller businesses that might not be blogging or creating a ton of content. Make sure your site is in the appropriate registries and all of your information is up to date. 11. 72% of consumers who did a local search visited a store within five miles. To the point above, of those increased ‘near me’ searches, those individuals actually visited the store. Not only will you show up in search, but they’re more likely to show up to your store. 12. 30% of mobile searches are related to a location. What this means: 30% of people using their mobile devices to search are also looking for proximity. If your site is not optimized for mobile or local search, it will not show up in mobile search results, and those local customers (see stats above) won’t be visiting your store. This is something that IMPACT has been focusing on for the past year or so. We have created so much content over the past 8 years, we had a great opportunity to historically optimize, or update content and add length (adding more value to our readers). If you’ve got a strong baseline and were once ranking for keywords well with older articles, this is the perfect tactic to take back for your 2019 strategy. 14. We know links are one of the top Google ranking factors. Google has said that social media shares don’t count as individual links, but there most likely is a correlation here. Although Google keeps their algorithms top-secret, they have shared that social signals are more of a factor now than in the past. Several brands have reported a direct correlation between an increase in social signals and a rise in search rankings. In fact, Google even incorporates social results from YouTube and Twitter. 15. In 2018, the average firm is expected to allocate 41% of their marketing budget to online, and this rate is expected to grow to 45% by 2020. Everyone wants to be at the top of Google, even if it means paying for ad space. If other companies (potentially your competitors) are putting this much effort towards SEM and paid, it’s time to rethink your 2019 focus. Marketers are spending more on SEO, which means more competition. Mobile is increasingly becoming a larger factor in ranking -- especially when it comes to local marketing. What other stats or trends are driving your 2019 digital marketing strategy? Share them in the comments!